Get the FREE Report Highlights! 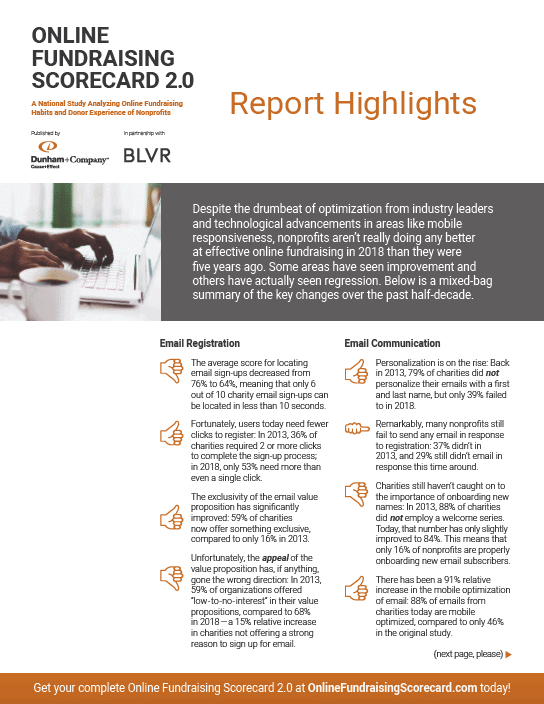 The Online Fundraising Scorecard 2.0 is here – and you can get the Report Highlights for FREE. Following up 2013’s ground-breaking original study, the Online Fundraising Scorecard 2.0 analyzed the same 151 charities to give you longitudinal data and trends that can help you make an immediate impact. Plus, it gives you a first-ever feature on mobile giving. So request your free Report Highlights PDF, and get a taste of what works – and what doesn’t work – when it comes to online fundraising. Get your full copy of the study that’s literally kept score on donor behavior and online fundraising across three countries – and analyzed it all for you. 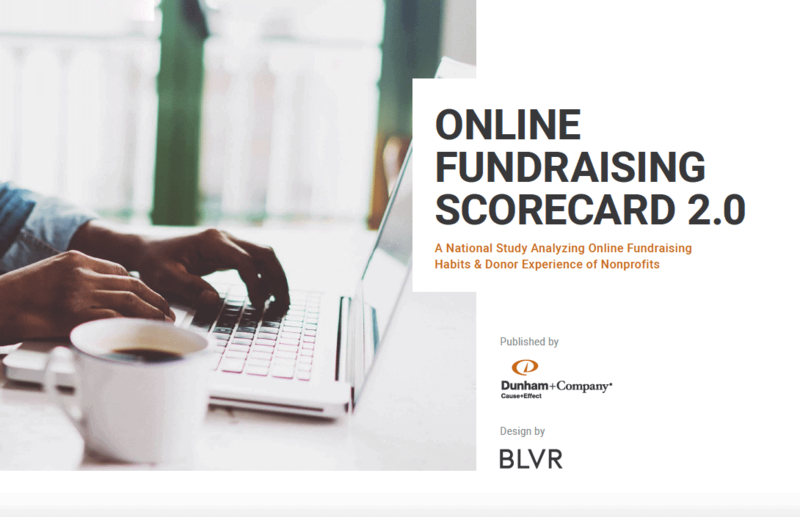 Updated and expanded from 2013’s original study, the Online Fundraising Scorecard 2.0 is a must-have tool for nonprofits and digital marketers everywhere. Order your digital or softcover copy of the full study today!